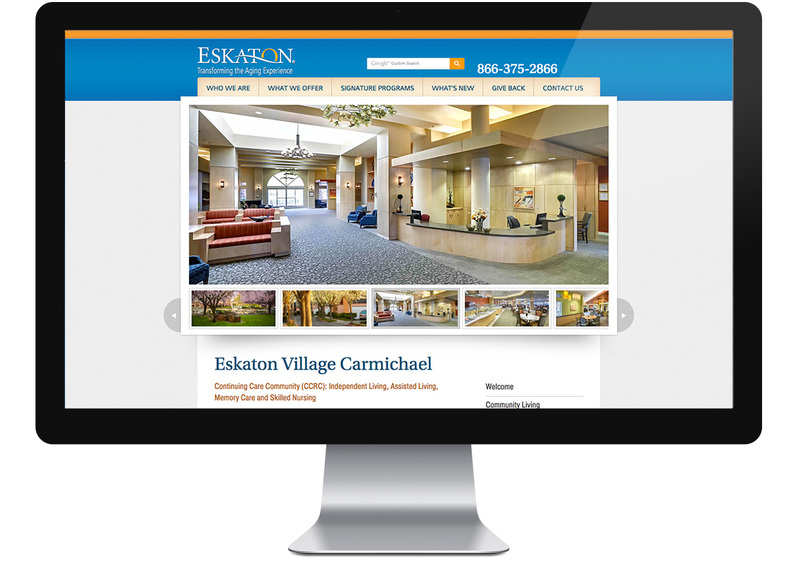 Eskaton is a household name in Northern California, providing communities, resident services, and healthcare to thousands. Collaboration was our cornerstone and together we made a great team! 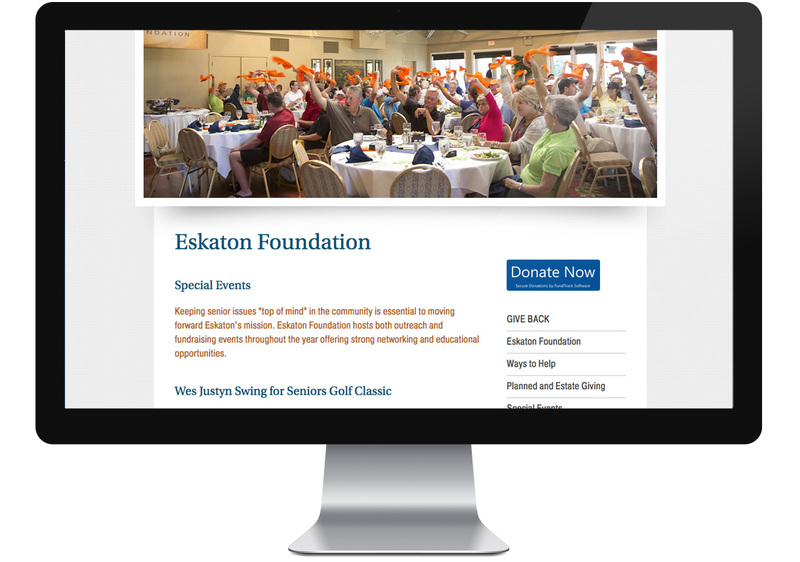 Originally founded in 1968, Eskaton is associated with quality of life, affordability, innovation, and education. We were honored to embark on a collaborative journey with such a reputable organization. Anyone who is talking about the web is talking about responsive, because it addresses the outdated need to have both a desktop and mobile version of your site. If you’re going to redesign your site in this day and age, you better have a darn good reason if you plan on not making it responsive, and we knew that the technology was a great use-case for such a varied demographic. 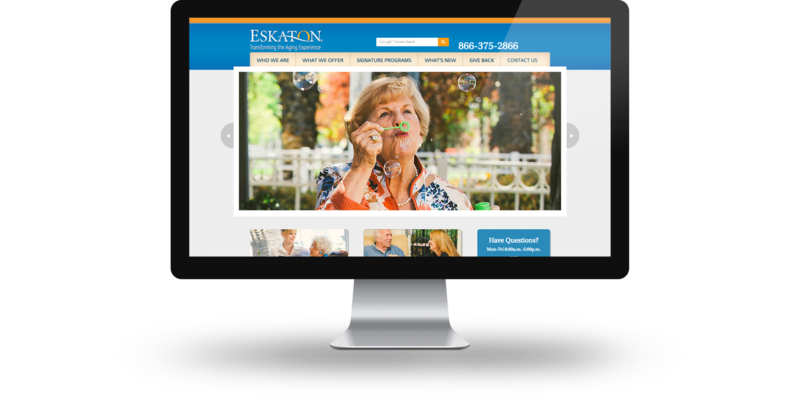 A large portion of Eskaton’s traffic is comprised of family members searching for a care facility for their aging parents or grandparents. While they search on their desktops they also use their phones, a lot! 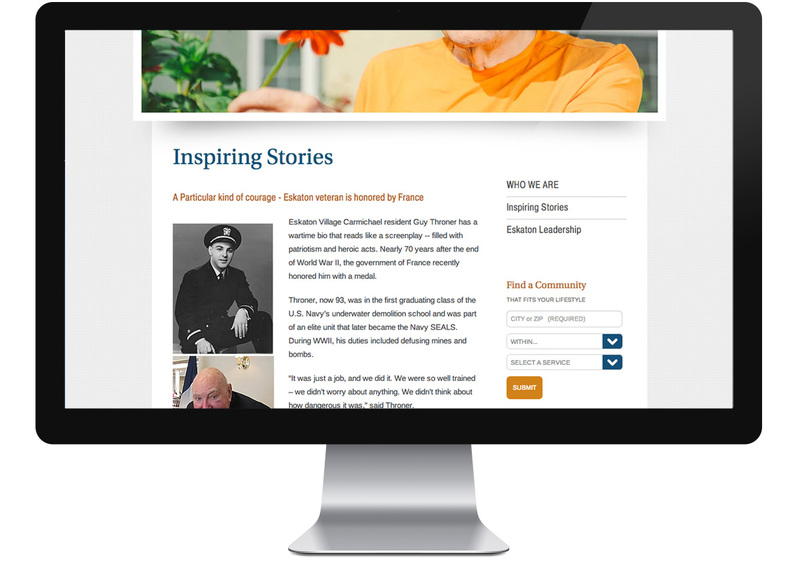 The new Eskaton templates were designed with a responsive bootstrap framework and integrated into DreamWeaver in a way that kept the WYSIWYG — whizz e wig — from completely blowing its top. Eskaton staff are now able to quickly and easily create new, responsive DreamWeaver templates in just a few moments! The final DreamWeaver development was executed client-side. However, Three29 ensured Eskaton’s success by serving as a support tool for questions and feature upgrades throughout the process.